A few months before I finished school, due to a set of circumstances that don’t lend themselves to a brief explanation, my siblings and I stayed for several days at the home of a friend of our mother’s. I was 15. The house had what I recognise in retrospect was probably a mostly decorative library, but it contained real books, and I spent hours perusing them. Some lines from a novel I found then remain indelible to me, and they return now to describe my chance discovery of it: “Who lays the crumbs of food that tempt you? Toward a person you never considered. A dream. Then later another series of dreams.” I don’t know what made me open Michael Ondaatje’s The English Patient, what tempted me toward what was an unusual choice for my reading tastes back then, but I do know that it permanently changed those tastes – and me. That was a book that raised me. I became an adult as I turned its pages, emerging in new skin, freshly initiated, as I closed it. In the past few weeks, I’ve been slowly reading Ondaatje’s latest novel, Warlight. Like any Ondaatje after my first one, I came to it not with a sense of excitement but a sense of trust. Some books, and some bodies of work, are simply reliable that way. The time you spend with them is like seeing someone you share a long affinity with – sometimes you will speak of nothing special, but the point is that it is never transactional. Something caught my eye this time: on the page with the list of the author’s prior works, each title had a year in brackets after it. I’d read many of them, but what I’d never clocked was their chronology. Of Ondaatje’s 20 books, his first five – published between 1967 and 1976 – were obscure poetry collections. His life didn’t begin with his fame, and neither do decades of fame sum up his life. Pondering that list gave me much for one of my current preoccupations: the deeply discursive questions of interior lives, and how, say, the volume of 20 books stands against every other method in which to measure 75 years of life. It reminded me of something my father innocently said when I signed a book contract once, for a work that wouldn’t be released for over a year later: “But what will the publishers do until then?” The same holds for what people imagine the author does, and this is true of everyone whose work requires a public presence. I nuzzle these contemplations often, applying them gently to everyone I encounter. This is bridge-work, for it helps me not only parse the lacuna between what is perceived of me and the true fabric of my days, but to also engage more meaningfully in those encounters. An edited version appeared in The New Indian Express on July 19th 2018. “The Venus Flytrap” appears on Thursdays in Chennai’s City Express supplement. In a strictly-segregated metropolis of an India in a believably near future is a sector known as the East End, the last bastion of liberal sensibilities. Everywhere else, sectors are divided by caste and religion (and the way these dovetail neatly with class), and each one upholds its own standard of morality and customs – or in the lingo of apartheid, “culture” and “community”. Beyond the sectored zones are the slums, the only places that remain more or less precisely as they always were. In this almost-here India are looming walls, their partitions enforced by armed Repeaters, men who move like mobs, imposing law and order with their long bamboo staves. To a city plunged in drought, the excesses of the East End, with its swimming pools and its oblivious prosperity, its sexual mores and overall happiness, are less bearable than usual. On the night of a party at one such house – where the affluent, interfaith couple Shalini and Riz live with their toddler Leila – the Repeaters storm in. Riz is murdered. Shalini, arrested and sent to the Tower, spends bides her time for years, waiting for a transfer that will allow her to search for Leila, or at least the truth about what happened to her. Akbar has a style that is prone to loveliness and adept at finding tenderness even in so dismal a storyline, with evocative lines such as, “She sits by a window, centred precisely in a square of sunlight. Once in a while a frizz comes loose and falls on the side of her face like a lash of laburnum…” In one of the most surprising, endearing passages in the book, Shalini and Riz become physically intimate for the first time as teenagers, and she tries to not have him roll her T-shirt off completely, despite already being braless. “He looked at me again, smile gone, confused. Nothing’s wrong, I said, I just can’t take my shirt off. He laughed and wanted to know why. For many minutes I refused to explain, as he nibbled at my breasts and my ribs, sure that I would yield. When he didn’t stop asking I had to explain. Innocent of where this afternoon would lead, I’d forgotten to shave my underarms.” Elsewhere, and quite unrelatedly, he subverts the common word “godman” into “man-god”, cleverly defusing and lampooning the term. It is astonishing how multi-pronged this novel is in its critiques. It critiques not only, and most obviously, the overt dangers of theocracy creeping into statehood, but brings individual accountability into the equation in very subtle ways. Shalini, having survived the night of the raid on her family, is ostracised by the same people who had enjoyed the freedoms she had had in the East End. Meeting one such friend years later, she hands her a gift, nailpolish in a pink box, for the friend’s daughter. It is declined ignominiously. “Pari isn’t this type of girl. Her father would never let her use it…. We have to bring up girls the right way. It’s the main thing. Everyone is watching. Comparing. Until a good man takes her away we have to be careful.” The friend is utterly unaware of the irony of her phrasing. She has simply allowed the establishment to enfold her and her mind, in exchange for a comfortable security. Indeed, Leila’s power as a political novel lies not at all in what seems to be its overt premise of the authoritarian state, but in the undercurrent of easy privilege that lies just beneath it. This is what makes it lose its dystopian tag and firmly contextualises it in the current and the real. In doing so, it also throws up a great many questions toward the literary firmament. How often does something qualify as a dystopic work merely by recasting the privileged in the role of the helpless? How often are readers more horrified to recognise someone like them in a book about extremism than by what takes place daily in democracies held together by their votes, in their names? This mordant truth is finely elucidated by Akbar throughout the novel. 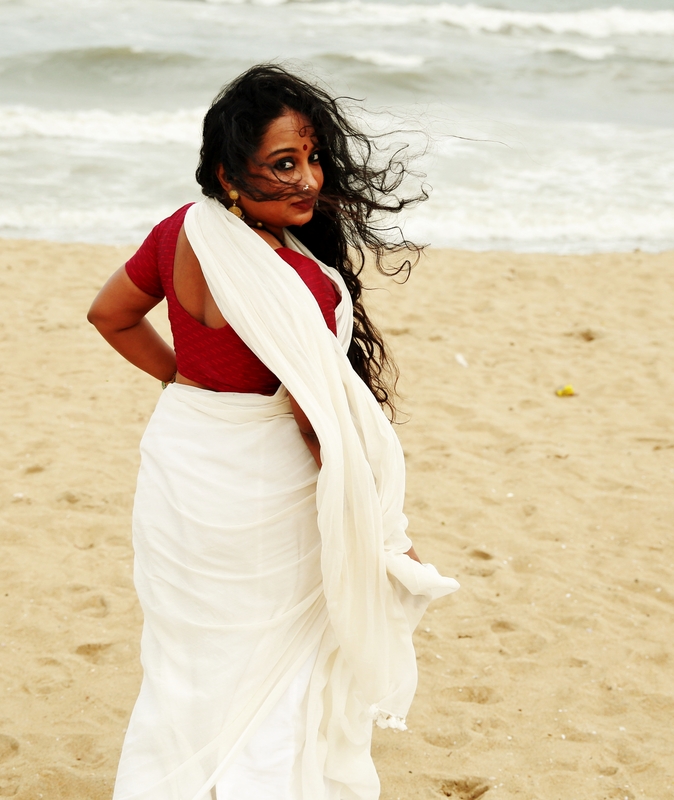 In one telling scene, Shalini tracks a woman named Sapna to a slum, believing she will find Leila there. Sapna laughs bitterly as she explains to her own daughter who Shalini is: “Remember this woman. The Tower is where they put high-borns…. Still they get big, big buildings. Toilets, fans, electricity, flush. Even when they break the rules they’re too good to be put out here with us. But us? Our crime is being born. We don’t get anything. We don’t deserve it.” Through Shalini’s eyes, we see gender politics. Through her choices and reactions – through the fact of her having those choices, which produce those reactions – we see the truly large picture: caste, class and communalism in a late-capitalist backdrop. Leila is a devastating debut, a book that both mirrors and forewarns the India of today.